This new home is located on a very quiet cul-de-sac. 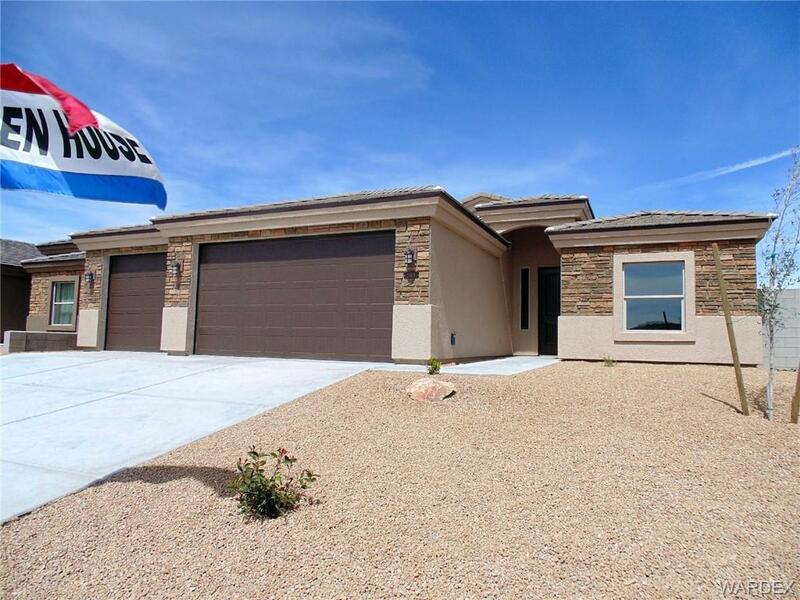 The new owner will enjoy the unobstructed views of the Hualapai mountains. Home is well equipped with stainless steel appliance package. Wood Planked Floor tile. Upgraded cabinets with crown molding. All ceilings are coffered. Tons of LED lighting. Open floor plan. Home has split floor plan. Large no thresh hold walk in shower in the master. Hall bath surround upgraded with tile. Very private back yard.